Movie Treasures By Brenda: Who is Colin Firth? Colin Firth was born in England on September 10, 1960. He is an Oscar-nominated actor who has appeared in many movies, on television and on the stage. 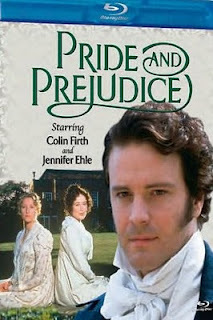 Perhaps his most well known role is that of Mr. Darcy in the 1995 version of the period piece, Pride and Prejudice. His list of films is impressive and some of the ones that I have enjoyed are Bridget Jones's Diary, Circle of Friends, The English Patient, Shakespeare in Love, The Importance of Being Earnest, Girl with a Pearl Earring, Love Actually and Nanny McPhee. More recently, Firth has been working on A Single Man (for which he received an Academy Award nomination and a BAFTA for best actor) and The King’s Speech. A Single Man is a drama movie based on a novel written by Christopher Isherwood. Firth appears as the leading figure, a gay university professor in 1962 who has struggled to be happy ever since his partner died in a tragic car accident. The film takes place in a single day when we visit his past and his ‘empty’ future. Currently, he is working on The King’s Speech, a historical drama set to appear in a limited release in theatres on November 26, 2010. In this story, Firth plays King George VI. When his father abdicates the throne, he must assume it and the film chronicles his efforts overcome his stammer. You can watch seven of Colin Firth’s movies on blu-ray. Which Colin Firth movies do you recommend? Colin Firth movies on blu-ray.